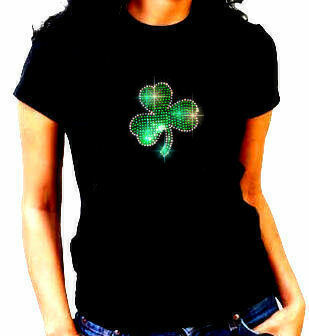 T-shirt from Stylehippo.com of their choice! Sponsored by Mom Blog Society, Mom Does Reviews, Stylehippo.com and 16 other fabulous bloggers! 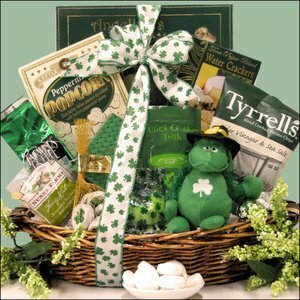 Wish them luck and cheer this St. Patty's Day with this Irish-themed gourmet gift basket. It is filled with a nice assortment of gourmet foods including unique themed items like St. Patrick's Day green hot chocolate and Fortune cookies, Irish cream coffee, Irish Lolli-pops, and more. Also features this fun St. Patty's Day plush gorilla. What's in the Basket? Stuffed St. Patrick's Day Gorilla with Shamrock, McSteven's "Luck O' the Irish ~ Top O' the Mornin' to Ya" Green Hot Chocolate, Lindt Mint Chocolate Truffle, Madelaine Milk Chocolate Shamrocks, Fairwind's Irish Cream Coffee, St. Patrick's Day Fortune Cookie, Angelina's Sweet Butter Cookies, Garden Vegetable Cheese Spread, Three Pepper Blend Water Crackers, Nunes Farms Roasted Salted Pistachios, Tyrell's Cider Vinegar & Sea Salt Potato Chips, Kettle Kitchen Peppermint Popcorn Crunch...yummy! 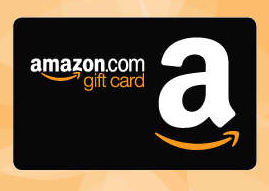 AND....the winner also receives a $60 Amazon Gift Card! Talk about lucky!